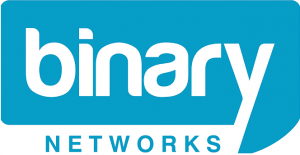 Proudly a 3CX Certified Partner, Binary Networks can design, build and maintain your 3CX Phone system and deliver high quality VoIP communications to your business. 3CX Phone System is a software based PBX for Windows that works with SIP standard based IP Phones, SIP trunks and VoIP Gateways to provide a full PBX solution – without the inflated cost and management headaches of an ‘old style’ PBX. Used by more than 30,000 companies globally, 3CX has been recognized for its innovation and cutting-edge technology. Slash your Telco and Travel Costs! 3CX Phone System not only provides you with many new features to improve customer service and boost productivity, it will also cut your telecoms bill by 80% and give you the means to communicate with IP Telephony! Your phone bill will be slashed, but so will the cost of buying, expanding and MAINTAINING your PBX . Are you looking to make the switch to 3CX or need help maintaining your current system? We are 3CX specialists – contact us now.